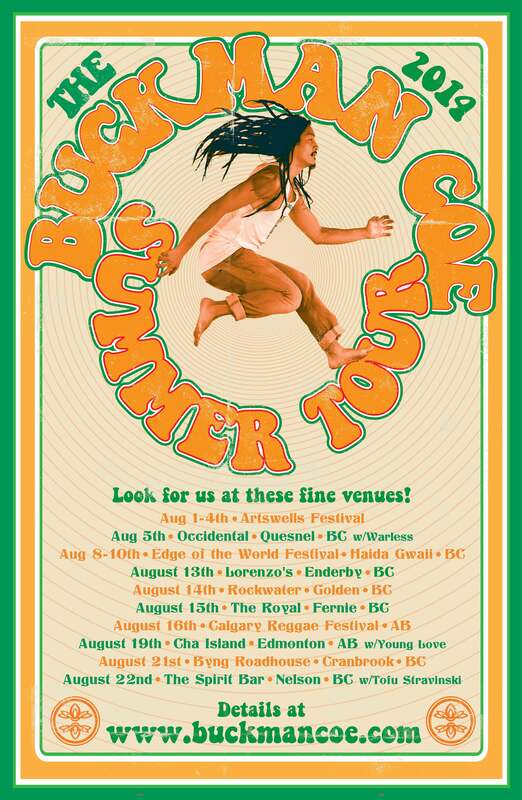 Buckman Coe is touring across BC & Alberta this summer. Catch him and you’ll likely to hear some new songs too. Hear Buckman Coe and many others at ArtsWells Festival, Edge of the World Festival, Calgary Reggae Festival + more! This beautiful psychedelic poster is c/o the wonderful Rika.